Loss of Appetite And Candida: Is There A Connection? 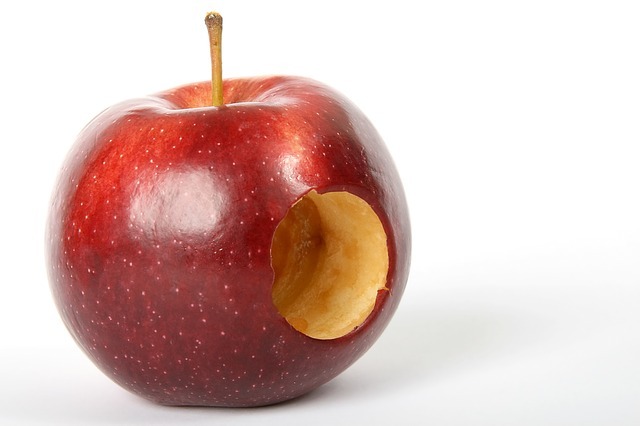 - YeastInfection.Org by Eric Bakker N.D.
You are here: Home / Other Issues / Loss of Appetite And Candida: Is There A Connection? Gabriel is a young man who enjoys biking and jogging with his beagle in the mornings and evenings. He has been able to reduce his work from three jobs to one full time and one part time position so that he can begin college. Over the last five or six months he has not been eating as much because his appetite has decreased significantly. At first Gabriel thought the appetite loss was only because of stress, but after a weekend trip with his family into the mountains where he would normally be revitalized, his hunger did not improve. He forced himself to eat the foods he loved: anything from a spinach and parmesan salad to chicken, rice, and corn on the cob, but he would often feel sick after a meal. Even sticking to a simple diet of rice and bananas left Gabriel’s stomach feeling strange, which he described as being hungry but not being able to eat anymore. He has tried multiple probiotics, but has not noticed any significant improvement. He has started to lose weight, but not drastically, as he has only noticed seven pounds over the last four months. Gabriel wants to know if he could have a candida infection, and what he can do to feel better. One consideration for appetite loss is overall mood. The gut and brain relationship is important to understand for any health concern. Depression can cause both hunger loss or hunger cravings depending on the individual. Recent studies have shown that the gut and brain have a closer relationship than many realize, particularly with anxiety, stress, and depression. A healthy balance of probiotics affects mood, cravings, and energy. All of these relate to appetite regulation as well as the brain and gut work together. As an example, people who stay up too late will get hungry and need a “midnight snack,” even if they have eaten enough for the day. They tend to snack on sugary foods for energy, and eat more than necessary as their body tries to maintain energy since they are not sleeping and their circadian cycle is disrupted. This connection may seem apparent, and the same principle can be applied to how the gut and brain work together. Even if stress is not felt or known, those who lead active and busy lives put their body through stress. A lack of sleep, a constant overactive mind, commuting, and taking on many activities can put the body under stress. This will affect the digestive tract, especially if poor choices are made for eating when preparing meals is difficult. Taking ten to twenty minutes a day to meditate, or at least be conscious of breath, supports relaxation. A good probiotic such as Canxida Restore supports healthy digestion through time released, beneficial probiotics. The Canxida Restore pills are shelf-stable and are therefore easy to take for those who are not home often. Continual adrenaline from stress can affect the thyroid and adrenal glands, which also work to regulate appetite. The adrenal glands release cortisol, which helps prepare the body for survival in stressful environments. Cortisol also helps to metabolize protein, sugar, fat, and carbohydrates into energy. When cortisol is released in healthy amounts, it helps the body function. When cortisol levels are continually too high, this can cause poor sleep and overall burnout. Inflammatory and autoimmune responses are sent throughout the body when cortisol is imbalanced. Weight gain and loss, ongoing fatigue, brain fog, and insomnia are indicators of adrenal burnout. Sugar and salt cravings are common. On the opposite side of cortisol, Addison’s disease is the common diagnosis for adrenal insufficiency. This occurs when not enough cortisol is produced and the adrenals shrink. Appetite loss, along with ongoing fatigue, muscle weakness, and general queasiness in the stomach are symptoms of adrenal insufficiency. Loss of appetite is a common indicator in both hyperthyroidism (an overactive thyroid) and hypothyroidism (an underactive thyroid). Rapid weight loss, trouble with memory, hair loss, ongoing fatigue, dry hair and skin, and tingling and pain in the wrist, hands, or feet are other hyperthyroidism symptoms. Weight gain, an intolerance to cold, exhaustion, depression, dry skin and brittle nails are signs of hypothyroidism. Nutrient deficiencies due to diet and poor nutrient absorption, known as malabsorption, will affect health. Vitamin B-12 deficiency is common in vegetarians and vegans, however anyone is prone to malabsorption. Malabsorption of nutrients may be a health condition, but could also be related to leaky gut syndrome or candida overgrowth as these block the gut’s ability to properly digest food. B-12 deficiency symptoms include a loss of appetite, along with trouble sleeping, heart palpitations, trouble breathing, and fatigue or weakness. B-12 shots and supplements are common, but if continual malabsorption is possible because of candida, parasites, or another cause, a more thorough blend such as Canxida Rebuild contains B-12 and other nutrients to support repairing the gut and promoting healthy immune function. Loss of appetite is a common symptom of candida overgrowth, just as having a cold or flu often causes loss of appetite because the body is sick. On the opposite end, some people crave foods high in carbohydrates and sugar, as these nourish candida and worsen the overgrowth. The lack of appetite can relate to the gut and affect emotional wellbeing. One cause of candida overgrowth is stress, and a couple of common symptoms are depression and fatigue. Since probiotics interact with the brain, poor digestion and stress can spiral into an overactive immune system that weakens the body and allows candida to multiply at unhealthy levels. While probiotics are critical for managing candida, other natural foods and supplements can be taken to promote healing so that the probiotics can flourish in the gut. When the gut’s environment is unhealthy, probiotics will have a hard time working to restore health. 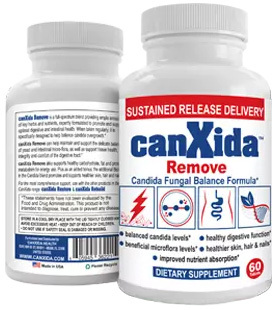 CanXida Remove along with a healthy probiotic can work to clear the gut of excess candida, bacteria, and even parasites. Liver disease, pneumonia, respiratory infections, and kidney infections can affect appetite. Digestive disorders that are potentially related to candida and affect appetite include celiac disease, Crohn’s disease, and irritable bowel syndrome. Doctors can test for these more serious health concerns if results for other conditions come back negative. When determining what the cause may be for loss of appetite, simple solutions may temporarily help and improve the situation. Instead of planning on two-three meals a day, eat smaller meals 4-6 times per day. Bland foods are easier to digest, and ginger tea can help support nausea. Avoid thick sauces, spicy foods, and over-processed foods. Taking time to meditate or practice a relaxation-focused exercise such as a gentle walk or yoga can counter a busy lifestyle that puts stress on the body. Stress and sleep are related, and going to bed at an earlier hour support healthy sleep patterns for many individuals. Turning off electronics at least twenty minutes before bed will promote a healthy sleep cycle.